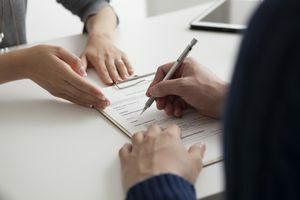 Hiring an attorney for Business Law or other reasons can be confusing and intimidating for those unfamiliar with Georgia’s court system. If you are dealing with any Business Law issues and need an effective, knowledgeable, experienced attorney, call me at 678-366-0730 for a free half hour initial consultation. In one business law case, I represented two men who serviced a garbage route in Gwinnett County. Gwinnett County had attempted to use legislation to carve up the various districts and distribute them as franchises to the large garage collectors. The new ordinances required expensive insurance, no charge for recycling, picking up discarded toilets, old washing machines, etc. Such requirements made it very expensive to qualify for the required permit to pick up trash in Gwinnett County. I sued the County Commission, thereby Gwinnett County, and won. The Superior Court judge in Gwinnett County threw out the law. The law was found unconstitutional under the state constitution. Since other counties were replicating these ordinances that created this case in the first place, other trash companies retained me as their lawyer for their legal matters.